DerbyWars is pleased to announce that future NHC Qualifiers hosted on the industry’s premier digital handicapping contest platform will now award players NHC Tour points and two NHC seats per contest. The change will go into effect starting on Saturday, August 24, coinciding with Travers Day from Saratoga. 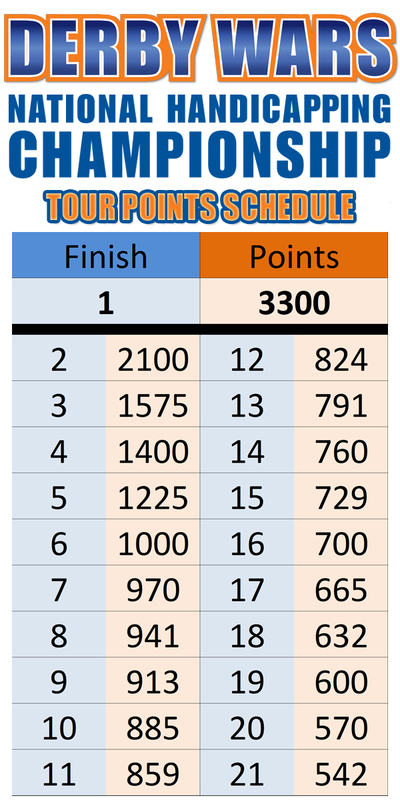 The first DerbyWars NHC Qualifier eligible for NHC Tour points is scheduled for Saturday, August 24. That contest will also be the first such tournament on DerbyWars to award NHC seats and travel packages to the top two finishers. The current NTRA policy is the only award NHC Tour points to qualifying contests offering multiple seats to the NHC. The DerbyWars NHC Qualifier format will be altered slightly to accommodate expected demand and support the altered prize structure. The August 24 DerbyWars NHC Qualifier will field 21 players for the contest, with each spot earned through successful completion of a DerbyWars NHC Prequalifier. Prequalifying events will be held daily on DerbyWars; contest formats will vary. DerbyWars NHC Qualifiers will go on hiatus on Saturday, August 17, in advance of the revamped qualifying format, and will resume on a biweekly basis. DerbyWars is a revolutionary digital handicapping contest platform for horse racing. Handicappers have the opportunity to win real money participating in daily cash contests, all in a fun and easy online tournament setting. 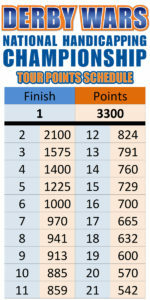 Players can sign up for free at www.DerbyWars.com and will receive 1,000 mythical points to start playing. Popular tournament formats include $2 win-place bankroll and show survivor; tournament environments range from head-to-head competitions to contests consisting of over 100 players. DerbyWars was designed and built by the team behind www.HorseRacingNation.com. good They upgraded Playbox and re-released it as cinemabox. Customers can conveniently navigate and also locate the preferred videos best. good Kodi allows the customer to stream different material from the web in addition to from your storage space tool web browser to look for your preferred media	nice. Very good! You guys did a really great job to make this learning place.Now any one like to remove their web Browser history but don’t know how then they should need to come here at this platform and get to know every steps and the information to permanently remove searching history,this is must to safe and secure browse and don’t show your privacy.Thank you so much.